Also available as part of the Impact Combo for X32 and M32 Consoles. 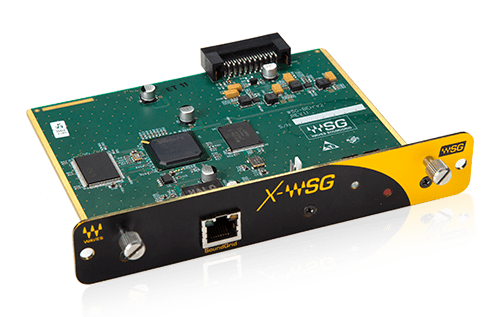 With the X-WSG I/O card and a SoundGrid DSP server, you can mix with state-of-the-art audio plugins by Waves and other companies, allowing you to dramatically improve your live sound. You can also play back and capture multi-track recordings – all in extremely low latency. 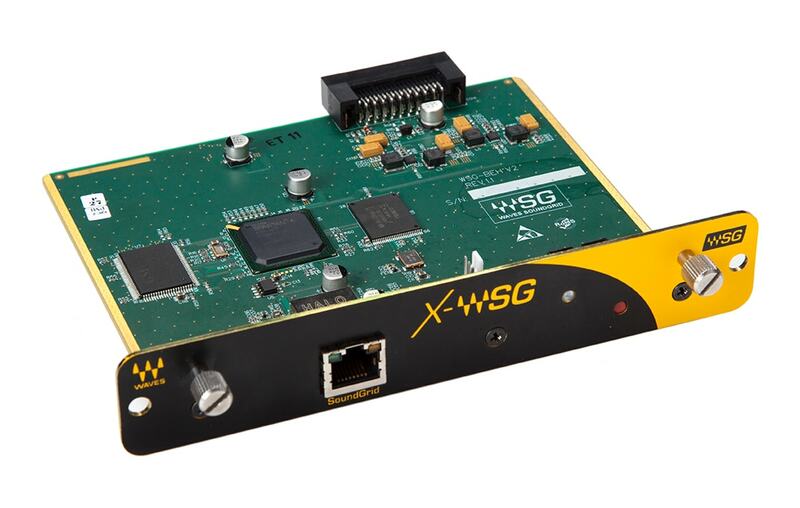 The X-WSG card enables you to connect your digital console to any Waves SoundGrid audio processing server via a single Ethernet cable. It also features clock Sync-over-Ethernet for syncing multiple mixers and performing digital splits. Together with a SoundGrid server and a Mac or PC, the Waves X-WSG I/O card gives you more control over your live sound – directly from your X32 or M32 console.